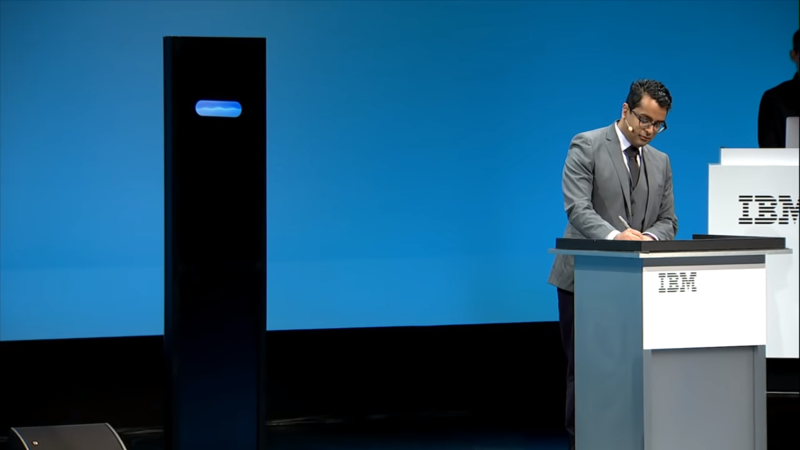 Recently, IBM’s Project Debater debuted on the big stage during an intense face-off against a former European debating champion. The Debater is a collection of AI functions managed by IBM, and is the culmination of around 30 published papers in the linguistic and data science field. The model facilitates ‘intelligent’ debate by digesting a large corpus of texts and constructs an approach in the form of a speech. 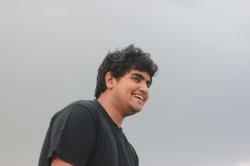 This speech can be on any given topic, as seen in the debate between Project Debater and Harish Natarajan, the EU champ. On the topic of whether preschool should be subsidised, Debater reportedly crawled over 10 billion sentences of reference material, mainly newspaper and magazine articles. Using this information, the model created an evidence-based argument and talked clearly and fluently for over 4 minutes at a stretch. This is a far cry from the virtual assistants we have today. Even as the model lost the argument, the audience’s opinion were swayed. A majority of the audience found that the model was more informative and capable of pinpointing relevant evidence. The arguments provided by the AI was also found to be limited on the influence of emotion, bias or ambiguity. This is indicative of the original reason the AI was created; to tackle misinformation. Due to the accessible nature of the Internet and echo chambers introduced by social networks, fake news has become prevalent across the Web. These misinformation campaigns have also been shown to be capable of swaying the progress of elections, as seen in the recent US 2016 elections. The Debater project is indicative of new advancements in AI that allow humans to shed light on distorted facts. This AI system can negate a claim on a controversial topic by using automatic claim negation. This is due to a rule-based approach that determines an effective negation. This would not only include fact-checking news that is potentially false, but also a counter that can be given attention instead. The project relies heavily on argument mining to function, and can mine massive corpora for claims and evidence to use them as fodder for an argument. The engine detects claims and evidence in relevant documents by a cascade of AI algorithms that can exploit various features of human linguistics. The capabilities of this system include finding text segments in unstructured text and classifying them into one of 3 debating evidence types. This allows the system to pinpoint claims in a huge corpus by relying not on identifiers or human labelled data, but simply on linguistic cues that are natural to human languages. The team behind the project also obtained high-quality results using DNNs trained via weak supervision with auto-labeled data. This paints a positive picture for fact checkers and peer reviewers, as this job will be made easier with the presence of such AIs. More notable, however, was the behavior of the AI in a debate session. It demonstrated human parity with speech recognition, and provided well-articulated rebuttals to the arguments offered by Natarajan. As mentioned earlier, it was also able to speak for up to 4 minutes with minor issues and clear speech patterns. The Debater Project shows the amount of advancement made in speech recognition and formation by IBM, laying the foundation for the next method of interaction of humans with AI. According to researchers, a major step is determining the stance of what the other person is saying, along with the stance of their claims. Research in this field has allowed the Debater project to engage in the classification of the sentiment of phrases and idioms, along with the ability to score arguments. The model can also engage in NLP-related tasks such as identifying related documents, detecting argument structures and understanding Automatic Speech Recognition output. The language processing capabilities of the machine, especially on a level such as that exhibited by a debate champion, shows that the AI has fairly advanced linguistic capabilities. The model’s opponent, Natarajan, stated after the debate, “If you take some of those skills and add a human being who can use it in slightly more subtle ways, I think that could be incredibly powerful,”. Will Similar AI Prevent The Spread Of Fake News? Facebook has been trying to tailor the quantity of fake news on its platforms by using AI and third-party fact checkers, to no avail. This has not only led to the presence of more rampant fake news on the site, but also more resilient fake news campaigns. This creates an atmosphere of misinformation and mistaken facts, making a dangerous move towards influencing a large number of individuals. However, AI can be the answer to this problem. IBM has also released an active debate version of the IBM Project Debater that anyone can interact with on their site. This is an experimental cloud-based platform which crowd-sources support for certain decisions. The Project Debater live argument AI can collect free-text arguments from large audiences and construct persuasive viewpoints regarding the topic. To do so, the AI has to classify the presented arguments with respect to their polarity, strength and relevance to the topic. This provides a powerful tool to moderators of social media, and not only to combat fake news but also gauge the penetration of certain news in the minds of the general population. This opens up an opportunity to engage in damage control, or to publish opposing articles that are based on a corpus of facts, just as Debater specialises. Even as the technology is inaccessible to consumers due to the large amount of compute required, it is possible that we could see the movement of technology to support AI of such scale. Project Debater might as well be the next big step in policing the Internet for misinformation. The video of the debate can be found here.